Rapha World - Yes, we specialize in Ceramics. Rapha World is a manufacturing/export company based out of South Korea and have specialized in ceramic household goods for over 20 years. Now We have broadened our scope over the years and are constantly coming up with new product lines and are have entered various fields such as the cosmetic industry. We strive to enhance the everyday lifestyles of people through the implementation of our ceramic manufacturing technology among other innovative ideas. 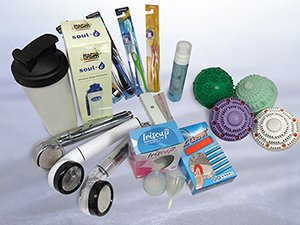 We deal with laundry products such as the Washing Ball and Dryer Ball; kitchen products such as the Acrylic Sponge and the Dishwasher Ball; and bath products such as the I-RA Anion Functional Showerhead, Beauty Ball, just to name a few. Recently, we launched cosmetics line-ups e.g.Mistify. Puff etc. Further, we developed Alkaline Water Bottle which can transfer water into alkaline with the bottle itself without any extra device. By continually launching new products and ideas, we have had an impact on the global ceramic market as well as others. These efforts have resulted in our vast array of products that is consistently growing. We put a great deal of importance in using eco-friendly fabrics and materials in our products. We have been exporting to over 30 countries worldwide. © 2015 Rapha World Co., Ltd All right reserved.